Perceptions affect your feelings. In turn, these feelings are associated with your self-worth, guiding behaviors like internal self-talk. Your behaviors then influence your perceptions, and so goes the cycle of doom. By Kristina Pattison. Featured photo by Myke Hermsmeyer. Take for instance the race environment: prestige or hype escalates outcome-pressure due to press and money. Participants perceive the event as important, allowing the results to affect feelings of self worth as a competitor. Behaviors such as confidence are affected negatively or positively. Subsequent confidence affects likelihood of performing well in future races. Sound familiar? The key is to recognize when inaccurate perceptions are sabotaging your self-worth and interrupt the cycle by reframing thoughts, perceptions, feelings, and behaviors. Or use the cycle to your advantage. Changing perceptions is hard work. To get a new perspective on perceptions look at the situation as if you are your best friend. Restructure initial negative perceptions with something more positive like curiosity. Is the competition or hype bringing you down? Reframe perceptions of alienation from the few elite and acknowledge your kindred spirits with the many who are geeking out to have the opportunity to race at a well-publicized event. Your entire race will seem more enjoyable when the pressure is off allowing you to perform better and create positive memories for future performances. When the perceptions are simply not changing, instead use the cycle to your advantage. For example, is the race hype creating stress for you, making you feel anxious, and forcing you to tell yourself “you’re a huge loser, why are you even here?” Recognize the anxiety as an internal cue, nothing more. You’re excited, that’s all. Quiet any and all negative self-talk, and instead choose to behave as if you are the best prepared, most focused, and most confident performer out there. The “Fake it ’til you make it” philosophy. Research shows if you change your body or behaviors, your mind or belief system will follow suit. The cycle interruption from this deliberate behavior change will influence your future perceptions, feelings, and behaviors in a positive way. Legendary, world champion triathlete Mark Allen says the only race that’s a failure is the one you didn’t learn from. Mark Allen described this situation well in a recent interview on Rich Roll’s podcast. He explained that after five Ironman championship races in Hawaii without a win, coming second always to Dave Scott, he finally interrupted the perception-feelings-behavior cycle to shift his feelings from wanting to win to wanting to have his best race ever, regardless of the uncontrollable outcome. During the race, despite a punishing pace and bumping elbows with Dave during the marathon run, he found performing his best fostered internal strength to finally push ahead of Scott for a win by 58 seconds. The race went down in history as the epic Iron War of 1989. Taking charge of feelings and behaviors allowed Mark to focus on obtaining his best, resulting in an outstanding performance and an unforgettable win. 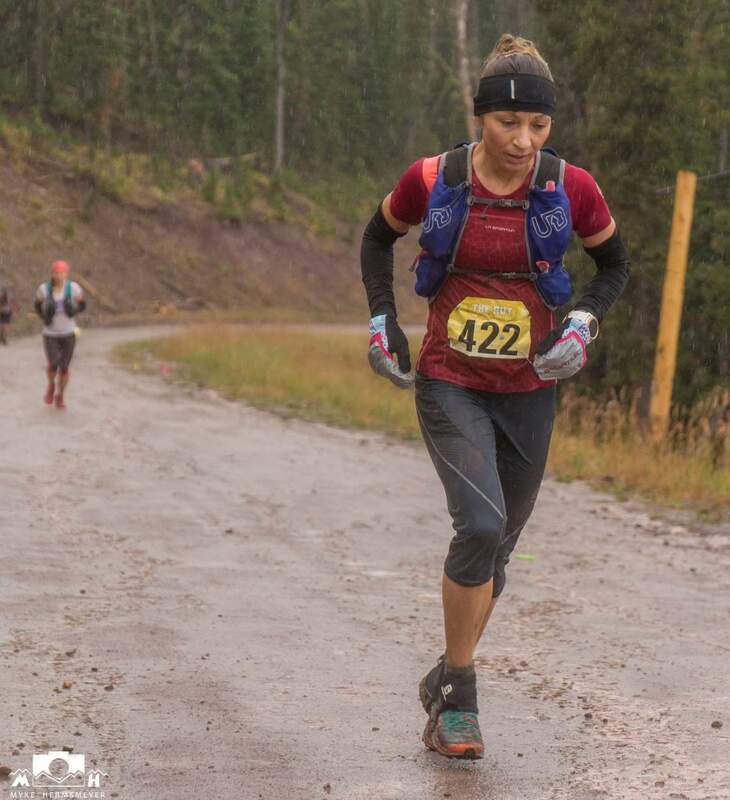 Kristina Pattison is an ultra endurance mountain runner and physical therapist from Missoula, Montana. She is currently focused on racing internationally in Skyrunning events and coaching select athletes. For information on coaching contact Kristina here. Next What is Courage without Failure?